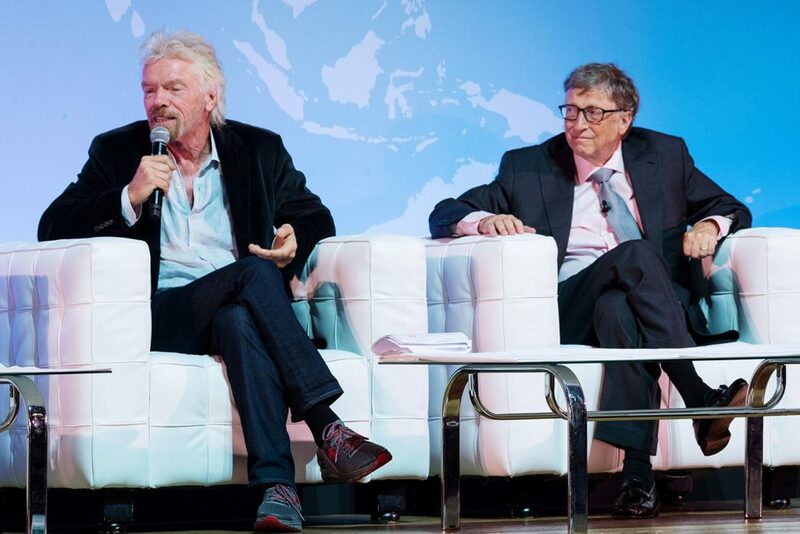 Recently, Bill Gates and Richard Branson backed a start-up called Memphis Meats. The San Francisco company, who just raised $22-million proposes they can and will be able to mass produce animal proteins in the lab. When it comes to the matter of whether or not to eat animal protein, there are two extreme positions with many points in between. On one end, advocates for animal consumption see the matter as an intrinsic right of humanity to consume animals regardless of the means. The other end of that spectrum maintains that the future of humanity does not include animal protein as part of the diet. The gradients between these two perspectives are finite. Manufacturing meat in a test tube is a solution which solves concerns on both ends of the spectrum. Ethical vegans don’t want animals to suffer in life or in death. Factory farmers want to serve the bottom line. The needs of the animals get in the way for both of them. In his book, “Eating Animals,” Jonathan Safran Foer points out paradigm which exists even within the ranks of modern factory animal farmers. Foer doesn’t mean employees working on the line in factory farms. Those are minimally paid and dubiously employed (illegal, recent immigrants, desperate) workers in many cases. He means the guy who runs the slaughter house, raises cattle or other animals intended for the dinner table. At the heart of it, most of these people became animal farmers because the loved animals. The problem these animal lovers develop once their foolish sentiments fade is the practicalities of business. Raising animals requires time, labor, electricity, food, and other untold costs. The animals have needs, all be they basic needs as factory farmers have figured out, they still need a pen big enough to stand in. If they fall or get sick, they ruin can the product; more cost. Meat that is grown instead of raised eliminates all those challenges. It has no needs, outside the elements which would make it grow in the petri dish. 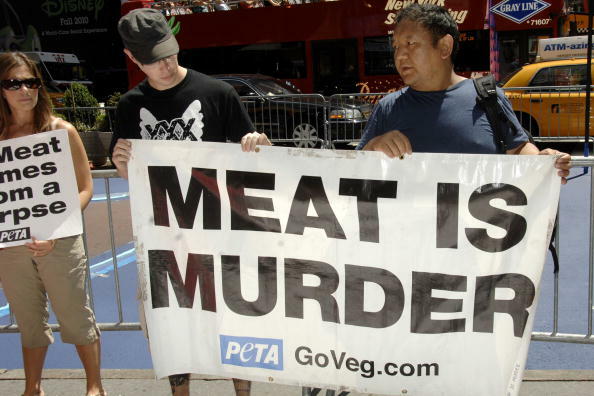 There are no animal rights violations to avoid because lab meat is not an animal. It’s a mainline to profit, no bleating, mooing, clucking on the way to slaughter. There’s not even a slaughter. There are two motivations for the vegan lifestyle, ethical or evolutionary. The latter believe and will argue until the cows come home, that the human body evolved beyond digesting animal proteins long ago. It’s an amazing argument based on thin [read: faulty] science. The ethical vegans are against animal suffering. Even in the most stringent circumstances, factory farmers couldn’t promise us that animals don’t suffer. In the best case scenarios, they live sad lives of confinement and mutilation, which humans speed up then cut short (like in pre-adolescence) to maximize profit. Even if they die painlessly, their short lives are horrible. 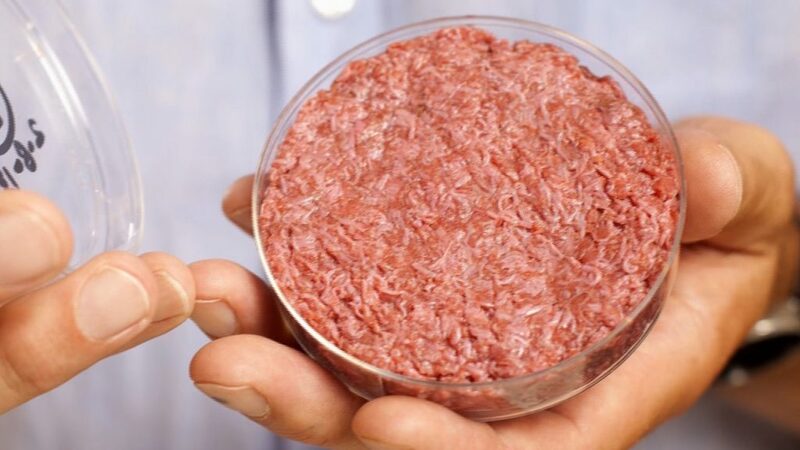 Lab-grown animal protein suffers exactly never. This argument will never convince the evolutionary vegans that the human body can digest animal protein without problems. That said, many ethical vegans pine for guilt-free bacon. The question they will ask is the same one you’ve been thinking this whole blog: is it safe to eat? What we will all have to figure out, and by we in this section I mean all us humans is, can we eat this stuff without growing a third arm from our chest. Professor Stelarc, the man who’s made a life of adding limbs and growing ears on his forearm, may actually welcome that. Here’s who we won’t be able to ask: Memphis Meats. No matter how trustworthy we find the proprietors of the first lab meat company, we will not be able to take their word for it. We’ll need to find out for ourselves. Here’s what will happen. Once Memphis Meats (or some such company–there are more than one) perfect their process, they’ll submit to the Food and Drug Administration (FDA). Once the FDA says it’s safe, which could take years, assuming there are no special interest groups in the way, they’ll sell their product. Then we’ll play human guinea pig. IMHO, a mixture of recovering vegans and die-hard bacon fans will try the meat. They won’t die. We may find they develop anomalies later in life, but the meat will get better, more diverse. In time, factory farmers will see the obvious benefits. Humans will smell the bacon. In short order, this will be as normal as genetically modified foods. Aaand, there will always be voices against all of this. Sometimes they will lobby for real concerns, but with food, we know this much. Homo Sapiens have an incredible capacity to adapt to new foods, GMO or lab grown. Like it or not, this is the future that will come, and soon.